Global Holidays Bus (First Coach) was first introduced as a brand with new fleet of Luxury Executive Express coaches servicing between Kuala Lumpur and Singapore. 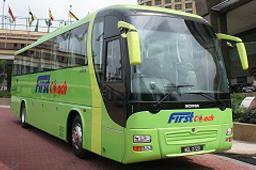 First Coach is managed by a group with vast experiences of more than 30 years in the bus service and related industry. Over the years, First Coach has built up the brand to provide a balance in excellent service, price and quality for coach service between Singapore and Kuala Lumpur. First Coach does not only bring you comfort during your journey on-board. She wants to assure that your comfort the moment you step into their terminal, simply because her concept of the exclusive waiting lounges are specially designed for YOU !In addition to that, First Coach provides convenient arrival locations in Klang Valley. Arrival in Kuala Lumpur is at Bangsar, which is conveniently located at Kuala Lumpur city centre. Arrival in One Utama (1U) provides the convenience to customer who stays in Damansara and Petaling Jaya (PJ) area. Last but not least, arrival in Subang Jaya provides the convenience to customer who stays in Subang, Sunway and Puchong area. 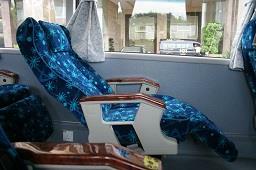 Therefore by choosing First Coach, you have wide selection of arrival locations in Klang Valley. Lot C.02B, Concourse Level KPMG Tower.